Mr. Mahood has served as a Governor of the Allegheny County Bar Association and is a past member and Vice Chair of its Public Service Committee. He is a member of the Civil Procedural Rules Committee and Special Fee Determination Committee of the ACBA. He is a member of the Pennsylvania Bar Association Code of Evidence Committee and is a past member of the Joint Family Law Council of Pennsylvania. Mr. Mahood is a fellow of the American Academy of Matrimonial Lawyers and is certified in both Matrimonial Arbitration and Mediation by the AAML. Mr. Mahood is a former President of the Pennsylvania Chapter of the AAML. Mr. Mahood has served as the Chair of the AAML Amicus Committees at both the state and national levels. 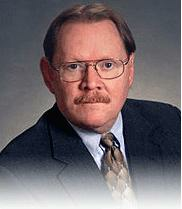 He has served as a Master Emeritus of the Pittsburgh Matrimonial American Inn of Court. Mr. Mahood is listed in The Best Lawyers in America and has been named a Pennsylvania Super Lawyer. Mr. Mahood has been recognized by his peers as AV- Pre-eminent© by Martindale-Hubbell. Mr. Mahood has served as a member of the Board of Directors of Neighborhood Legal Services Association and is a Past President of NLSA. He has also served as long-time Co-Chair of the Campaign Committee of the Equal Justice Campaign benefiting NLSA and its operations in Allegheny, Beaver, Butler and Lawrence Counties. Mr. Mahood has been recognized by award of the Marjorie H. Matson Civil Libertarian Award and the first Career Pro-Bono Achievement Award of the Allegheny County Bar Association.